I was trolling recently ended eBay auctions, and came across an auction for what may be the most expensive Lodge Event Patch I have ever seen. 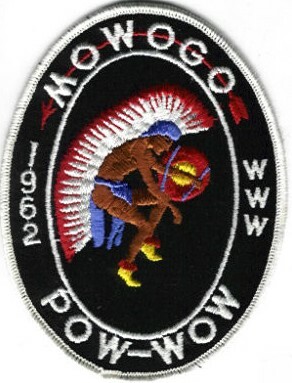 The issue in question is the Mowogo Lodge #243 eX1962. Mowogo Lodge #243 is headquartered in Athens, Georgia and is part of the Northeast Georgia Council. The auction had an opening bid of $ 49.99 which by iteslf is a pretty hefty price for a lodge event patch (by NY standards anyhow). Twenty Five bids later, the gavel came down at $ 1,025.99 and there were three unique bidders at $ 850 or over. Does anyone know of a more expensive OA lodge event patch? What is the most expensive event patch from your lodge? And I thought YOU were crazy! Knowledge is Power or Oh My God!! I have the most rare WWW 100 Anpetu-we back patch ever. My mother gave to me in 1978. It was the oeiginal first sample patch Accepted, I am an older vigil honor and she was the secretary for the company in 1978 In Cape Girardeau, Mo. It has pencil marks onthe the back. The very first patch. So.. all the years..what to do?? ?